DEEP IN THE HEART OF A TEXAS SPECIALTY! Well all of that “raw hide” was really a bunch of cows being herded around in the dust. I’m not particularly an aficionado of cows unless they are grilled slightly on either side and cooked too a warm red in the middle. Dust- not so much. I am a a Renaissance Bully after all. Now that’s more like it! 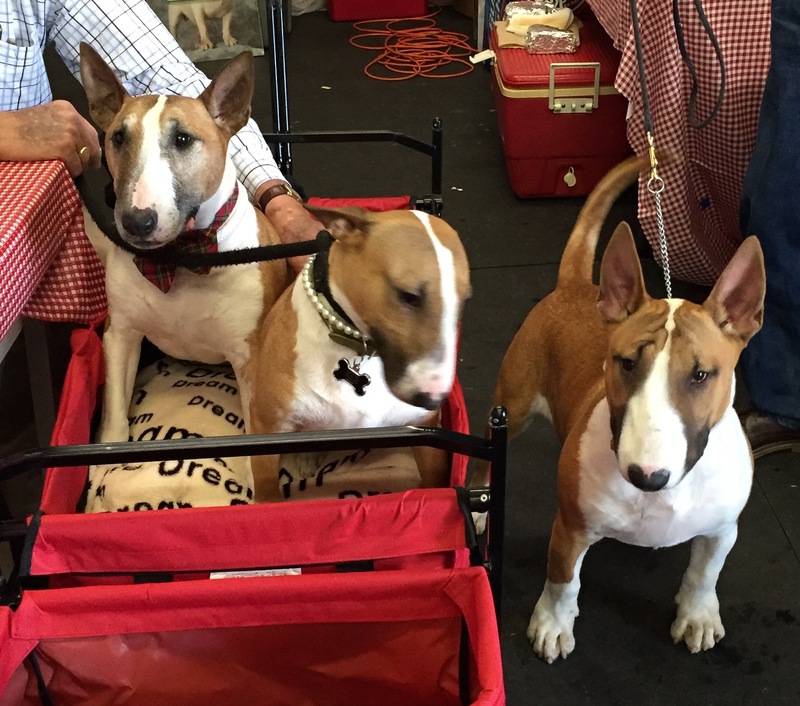 It’s true, my mom is a packer extraordinaire and it’s a good thing, because we packed up and headed to Fort Worth last week for the Bullterrier Club of Dallas Specialty (there were bull terriers there from all over the coutry competing for ribbons and honors) and to pick up the last yards of silk fabric needed for my new bow tie collection! 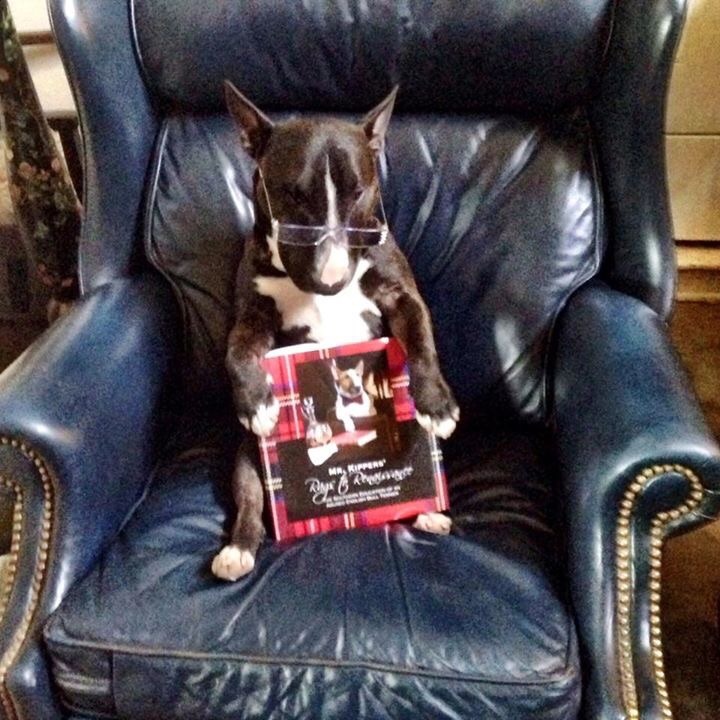 Of course my book launch in Shreveport was incredibly fabulous, thanks to Lewis Gifts and so many people who are my followers, as well as friends of my mom and dad, but, at the bullterrier specialty, I was particularly honored to sell so many books to “my people”! 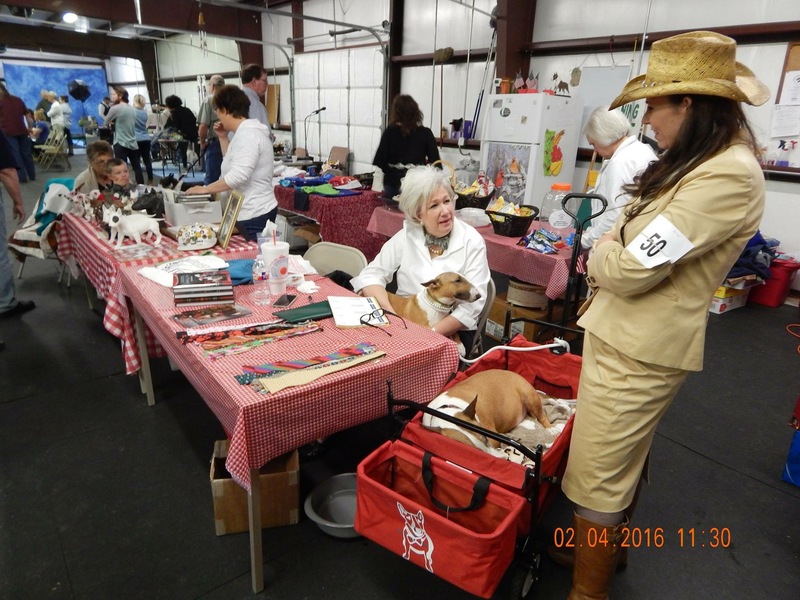 We didn’t sell many the first night, when the judging began, but on day two they permitted my mom to get on the PA system and give a brief overview of my amazing journey. Well that did it! Books and ties started selling and then on the third day we had repeat customers. It was amazing and you know what? All net proceeds went to the RWTFBTCA! 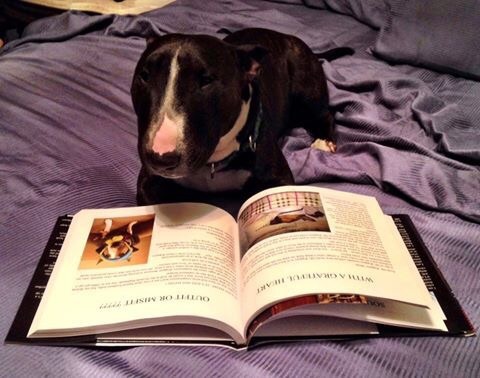 That stands for Rescue Welfare Trust Fund of Bull Terrier Club of America! 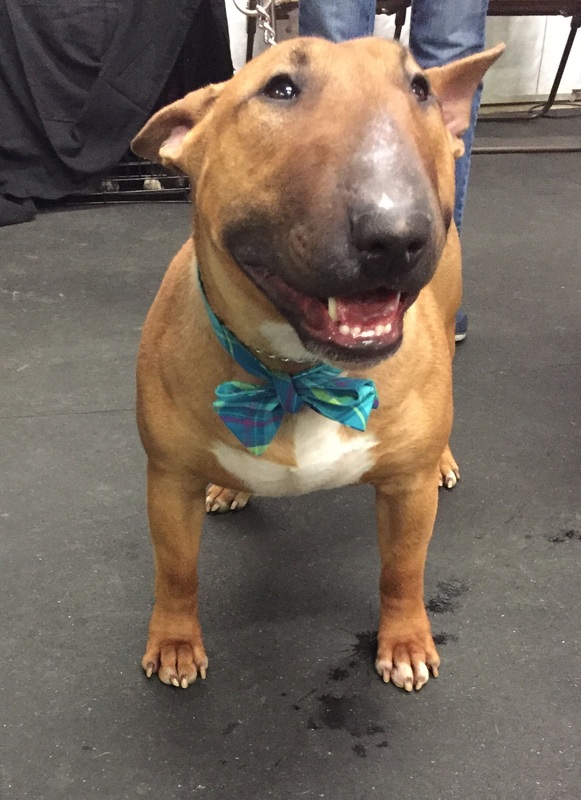 English Bull Terriers are fabulously handsome beasts anyway, but once they pop on a Classic Kippers’ bow tie, they become, absolutely, unequivocally, incomparably the epitome of perfection! 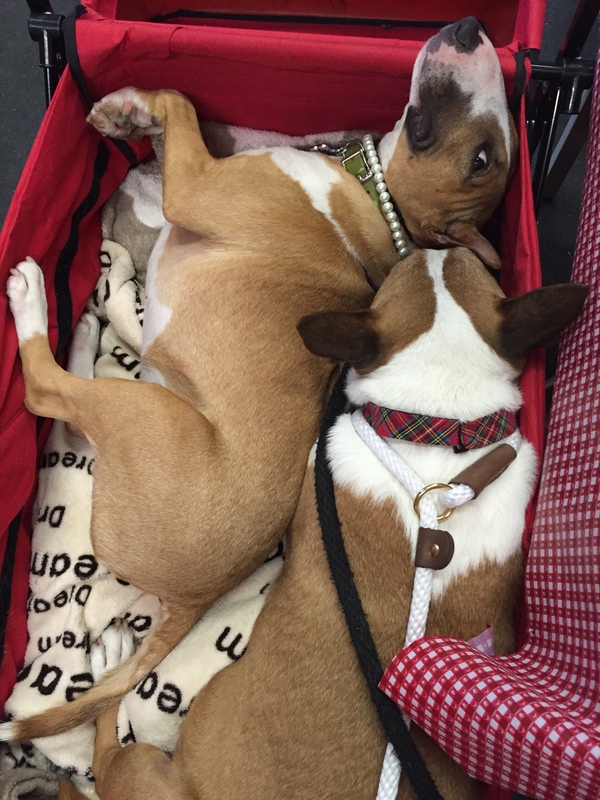 Baby sister, Miss Sophie Peach and I manned the table and oversaw the sale of my books and ties and I, of course, shared my bow tie expertise with my fellow bullies, so that they might choose the proper pattern and color to best suit their individual personalities. It was rather exhausting after awhile! 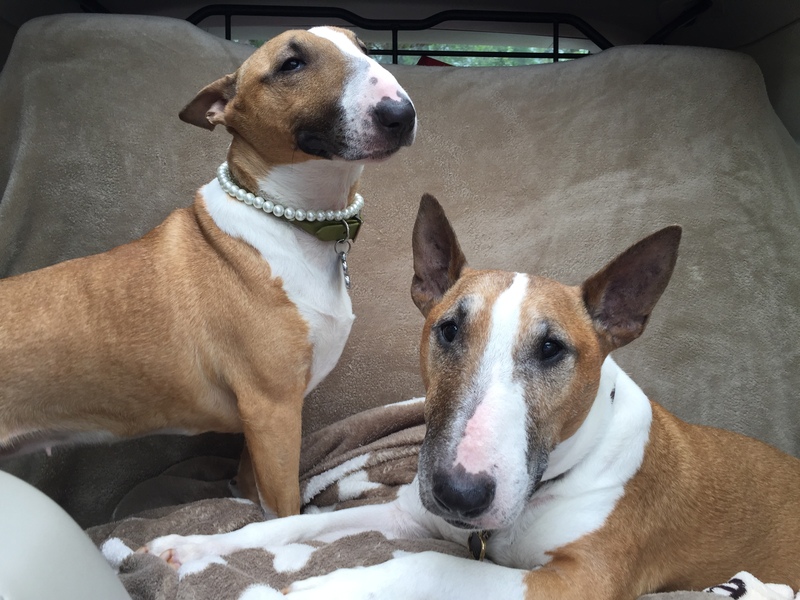 This is our English Bull Terrier and Great Dane friend, Miss Melissa. She’d already bought my book, but came over to chat. She looked “Texas Elegant” at Saturday’s show! 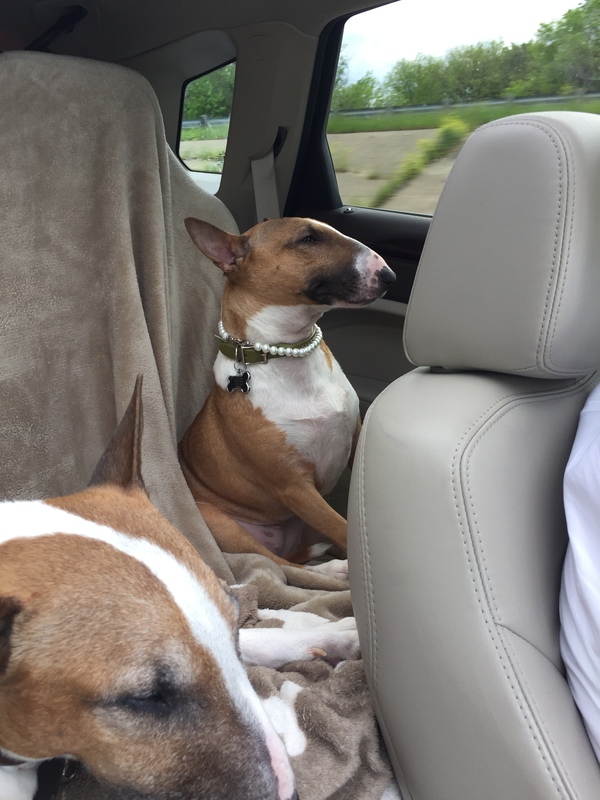 Then there was this handsome red and white fellow- the Brad Pitt of the bully world, his name is El Chapo, but only because he’s short, he positivity has no cartel connections. 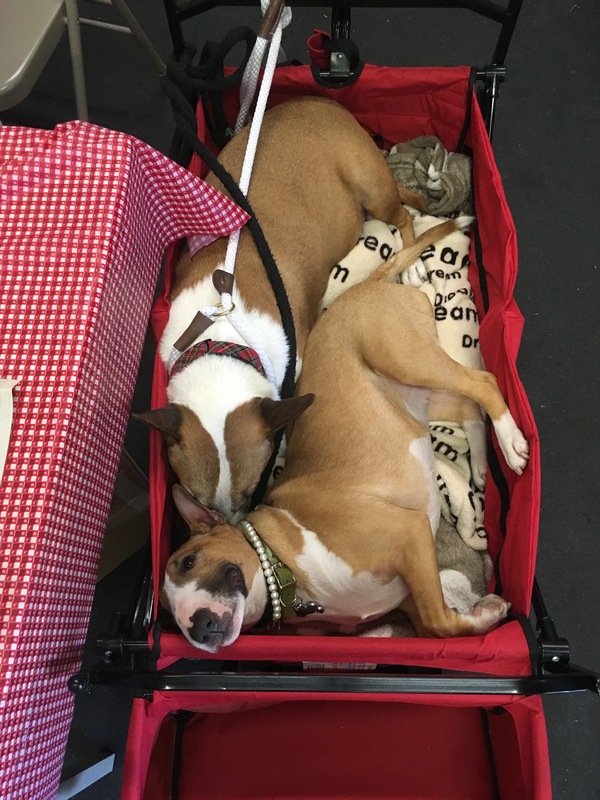 In between high-volume sales times I took a brief naps , but unfortunately Miss Sophie Peach turned out to be somewhat of a wagon hog. She also showed a little too much leg, which I’m certain Emily Post would have considered a major faux pas. 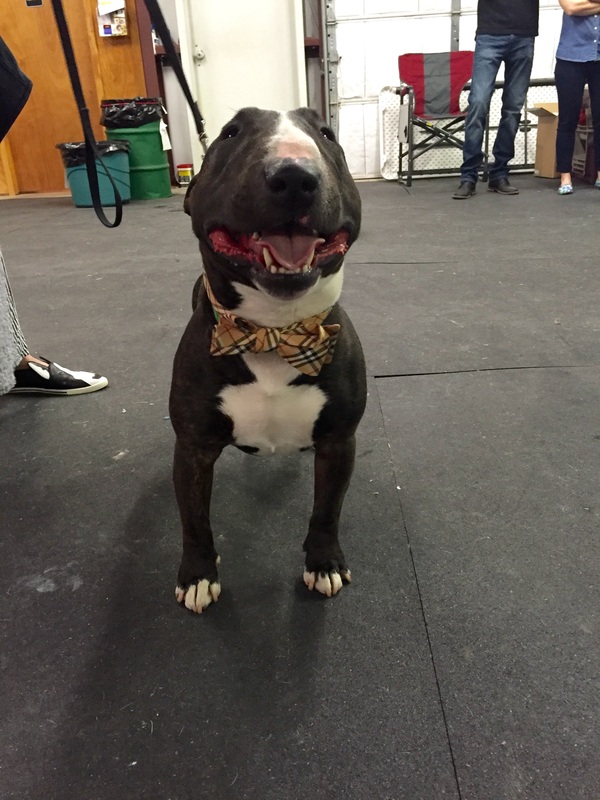 Two particularly dapper chaps are below modeling their Classic Kippers’ bow ties. 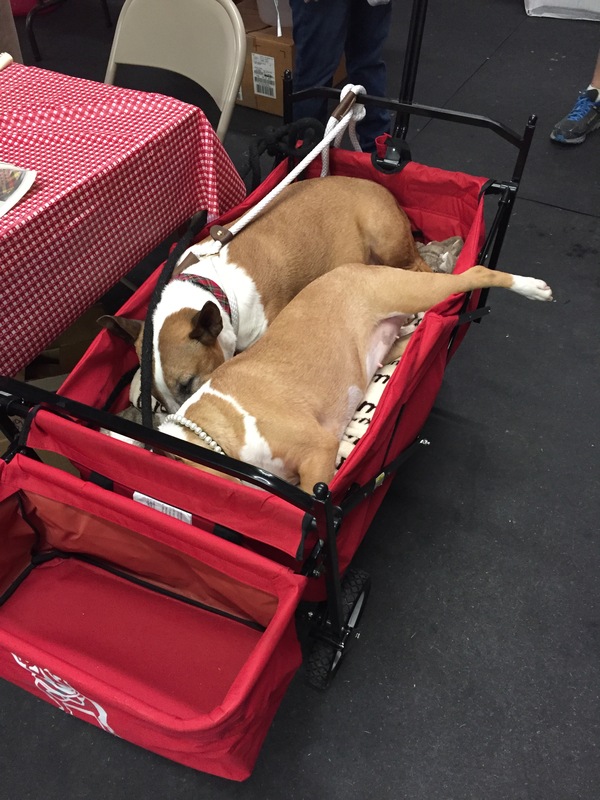 The lovable handsome hunk, Titus, (65 lbs) and the miniature ambassador of “good bully will”, HARRY (30 lbs) . I affectionately call them Mini and the Moose! Actually, HARRY and I got to be fast friends. He bought one of my books too and now he’s spreading the word that all of the net profit of my ties, tees and books goes to animal rescue! 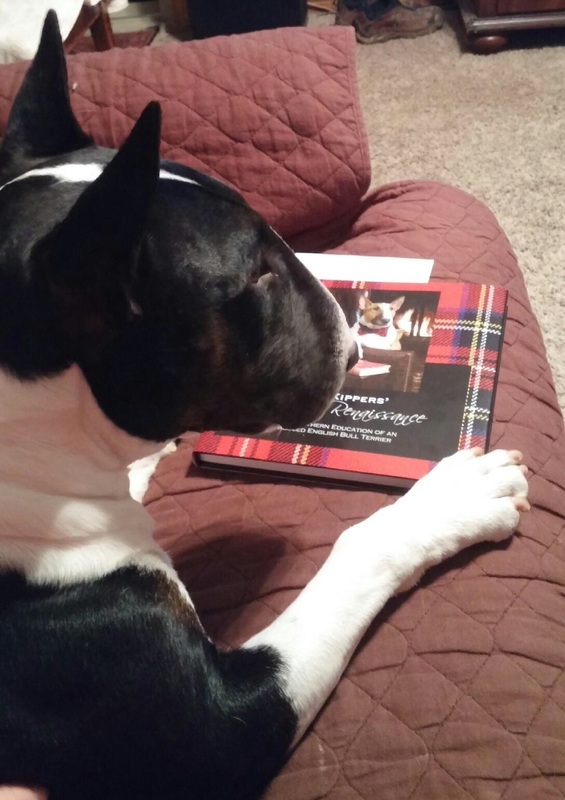 He is particularly enamored of my book because he loves late night reading and finds Rags to Renaissance, The Southern Education of an Abused English Bull Terrier, a scintillating read. And then there was Sledge! He is also an avid reader and I have in on good authority that Miss Sophie Peach has a crush on him. 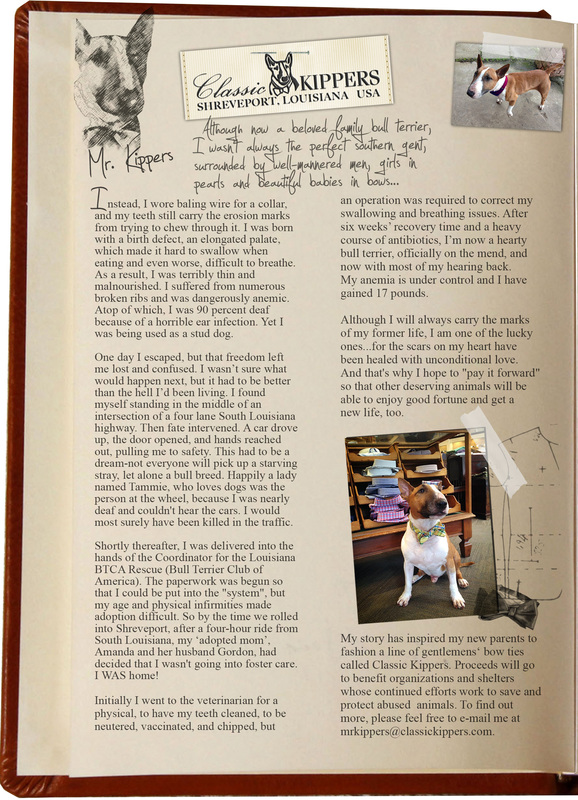 I am very grateful to all who purchased Classic Kippers’ ties, tees and books. 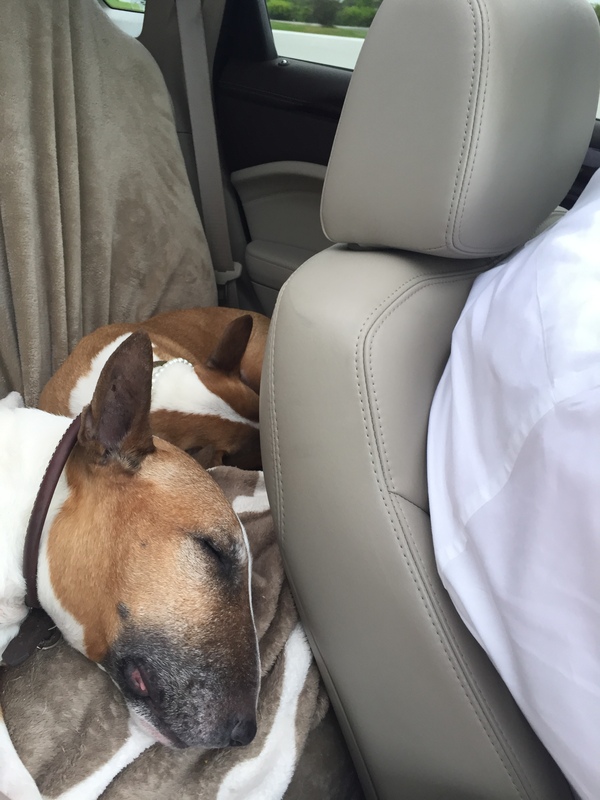 I have already posted a check to the Rescue Welfare Trust Fund of Bull Terrier Club of America and am hoping that you will all spread the word so that we can sell more to help the abused and abandoned. 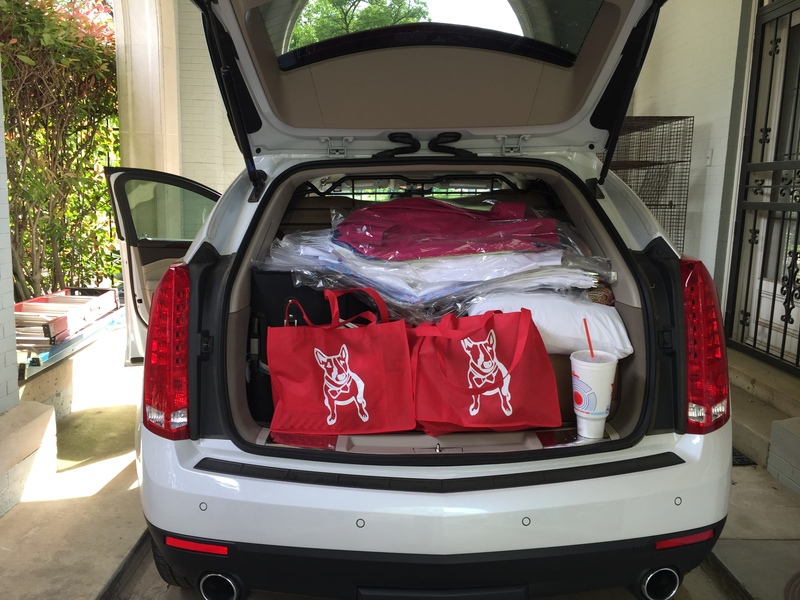 A special thanks to HARRY, and his mom Lynn, for offering to jump on board to help. He and I are a force with which to be reckoned- and so are our moms!!! We are quite the perfect pairs!